Making the choice to seek help for drug and/or alcohol addiction is one of the greatest decisions a person can make in their life, but it’s only the first step. Given that 50 percent of addicts who undergo rehab relapse, it’s important that the patient chooses an addiction treatment center that is going to give them the highest probability of staying clean after their treatment has ended. Everyone’s addiction and path to recovery is different, but there are several distinctive qualities that every good addiction treatment center should have. Whether it’s for substance abuse, food addiction or other compulsions, the right rehab center for every patient will possess the following five qualities. Since there is no single addiction, it’s important to look for addiction treatment centers that don’t treat all of their patients with the same “proven” method. Oftentimes this results in people assimilating to a certain way of life that isn’t able to be maintained beyond the walls of the treatment center, so they’re far more likely to relapse, as well as suffer with guilt and shame over their fall back into their old lifestyle. The purpose of an addiction treatment center isn’t to make you just another patient. Instead, it is a place where you can go to detox under the supervision of a skilled and nurturing staff while receiving one-on-one, individualized care from a therapist who has dealt extensively with people suffering from your addiction. Do not fall for any addiction treatment centers that have a “method” that is applied to every patient. The best method for any addict is one that is made specifically for them, their struggles and their needs. Staying active and learning how to focus your energy into new, beneficial hobbies is a very important aspect of recovery, especially early during treatment when your emotions will be erratic and you’ll be desperately seeking your old comforts. Addiction centers should offer a variety of activities to its patients so that they can cope with the struggles of recovery in a healthy and productive way. The activities that they may take up — such as writing, art or sports — are able to be maintained after leaving and will give them an anchor to their new lifestyle that they can rely on as new obstacles arise. 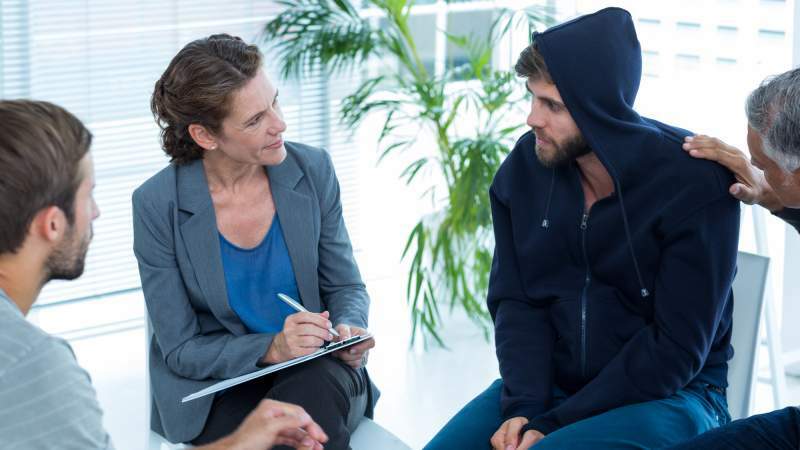 Although individualized treatment plans are the cornerstone of all good rehab centers, group therapy also plays a major role in successful recovery. One common issue among addicts undergoing treatment is a feeling of isolation in both their circumstances and their troubles. Although everyone’s situation is different, the feelings that a person with an addiction experiences are uniform and it can help immensely to meet other people who struggle in the same way. Group therapy sessions can provide a sense of solace, comfort and unity at a time when people are feeling their most vulnerable. You should enter an addiction treatment center feeling like a guest, not a helpless patient in a hospital ward. All of the resources and precautions necessary to keep you from making any mistakes should be in place, but you shouldn’t feel like you’re being “watched” or judged by staff members. Instead, the doctors, nurses and therapists at the center should treat you like the worthwhile human being you are, giving you all the respect and dignity that they would a person who isn’t in the center, while still providing any assistance and care that you’ll need during your stay. Drug addiction and other types of substance abuse are some of the most difficult to avoid falling back into after leaving rehab. It’s critical that you find a treatment center that offers continued support after you have completed your initial program. You’ll need to be able to continue to adapt to life addiction-free, and that takes time. Outpatient support comes in the form of individual therapy sessions and group meetings, as well as other forms of counseling from staff that can help you reach your full potential and stay on track with your recovery while you work on constructing your new, sober life.